Hello ! Here is a drawing Ison (only unfortunately) made ​​Friday morning between 6:15 ET 6:45 HL with my newton telescope 12″. Visible with binoculars 8×40, Ison revealed all its charm to the telescope, including its beautiful clear blue hair, as well as two fine jets in the queue that stretched over 3/4 of my ES 20mm, which provides a field of 1.36 ° and a magnification of 75x. 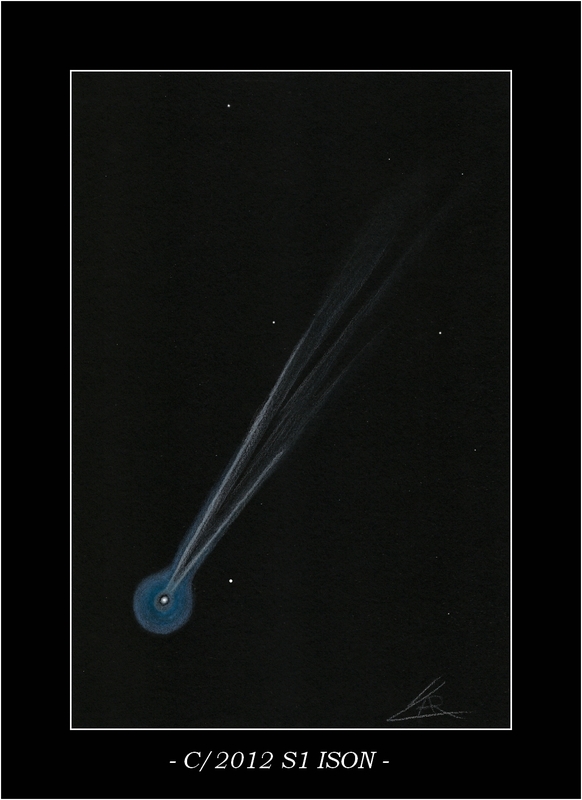 A beautiful rendition of comet ISON.